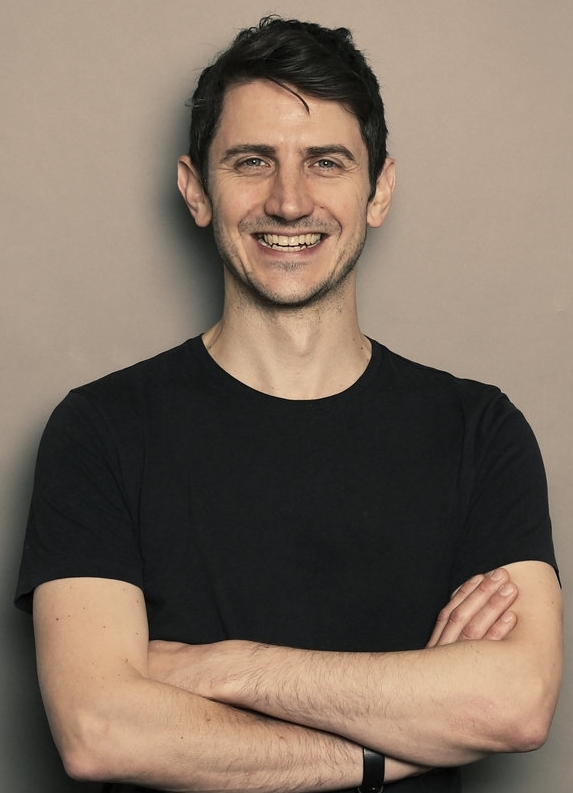 Dan started his career as a grad at Ogilvy, then spent more than half a decade at DLKW, running business in the automotive, financial, charity, public information and entertainment sectors, before spending a quick 18 months running Nokia’s digital advertising globally at glue Isobar. He founded Creature in 2011, and has run the business side of things ever since. He sits on the IPA Council and Membership Committee, and in 2014 founded Le Cure, a cancer charity affiliated to the Royal Marsden Hospital. Dan has a three year old called Stan, so if he ever looks a little tired, that’s why. Stu met his creative partner, Ben, at Bucks Ad School, and has stuck with him ever since. They did a few placements around town, but ended up at Mother, where they worked all the hours they could find (and a couple more) to land themselves a job at the best agency in town. He - and they - spent the better part of the next decade there, working (and winning awards) on pretty much every client in the building, before ripping the agency’s creative heart out when they left to set up Creature with Dan in 2011. Ben has two daughters under the age of five, so if he ever looks a little tired, that’s why. Stu’s bio is nigh on identical to Ben’s, which makes writing this paragraph easy, but making it interesting hard. The key things you need to know about Stu is that he grew up in Northumberland, where he was desperate either to work in advertising or to be a long-distance truck driver. Neither he nor Dan are posh, they’ve just taken their partners’ names, which can be a little confusing. As well as being one of the driving forces behind the Placement Poverty Pledge (an initiative that aims to ensure all creative placements are paid a living wage), Stu’s worked with Ben for nearly twenty years, so if he ever looks a little tired, that’s why. It has nothing to do with the fact that he is also a new dad. Andrew kicked things off, professionally speaking, at McCann, after a university career notable for founding the odd whisky society, infuriating the odd English golfer with his short game (Andrew honed his skills on the rolling slopes of Carnoustie), and finally finding time to pick up a history degree. As an account man, he made an excellent planner, so soon made that leap official, leading all sorts of pieces of global business, including Mastercard and Nestle. Andrew joined Creature in 2013 to head up strategy on the Carling account, becoming our first Head of Strat two years later, and our first CSO at the start of 2017. Andrew has no kids, and doesn’t have to work that closely with Ben, so if he looks a bit tired, it’s probably because of his Zelda addiction. Shirley leapt out of retirement at the start of 2017 to become Creature’s first CFO. Before we managed to tempt her to the mean streets of Shoreditch, she was CFO at adam&eveDDB, and BMP before that. There’s very little in the Big Book of Advertising Finance that she doesn’t know, because she wrote most of it herself. She’s amazing. Needless to say, Shirley doesn’t do ‘tired’. Polly started her account handling life many moons ago at digital agency 3Sixty, where she built apps and social communities before they were even things. She then spent ten years honing her craft across most departments at Iris London, gaining a wealth of experience in digital, innovation, branding, activation and advertising. She rounded off the decade as Business Director in its multi award-winning sport, entertainment and lifestyle arm - Iris Culture - having worked on brands like adidas, London 2012, Philips, Coca-Cola, PZ Cussons and Samsung. It's safe to say that through hacking social platforms, launching fashion brands, creating influencer strategies, developing products, creating ads, managing brand strategy and building basketball-playing robots, nothing scares Polly. Camilla began life in adland working at some of the UK's best agencies on brands including BBC, Dove, Vodafone the Home Office and Danone before her competitive nature got the better of her and she moved into the new business PR and marketing side of agency life. She joined Creature as Head of New Business and Marketing from TBWA\London, and thankfully finds chasing clients far less exhausting than chasing her two toddlers around. Kate is one of the most experienced production voices in the business, with decades of experience working at some of the UK’s top agencies, including JWT and AMV, for pretty much any brand you’d care to mention. Kate joined Creature back at the start of 2012 as a freelancer to help us produce our first integrated campaign for adidas, and has just never left. Pretty much anything film-related that’s come out of the building since will have had Kate’s fingerprints all over it.